Government cuts and a lack of commitment to the ethos of public health are allowing the abuse of girls and women to continue unchecked. 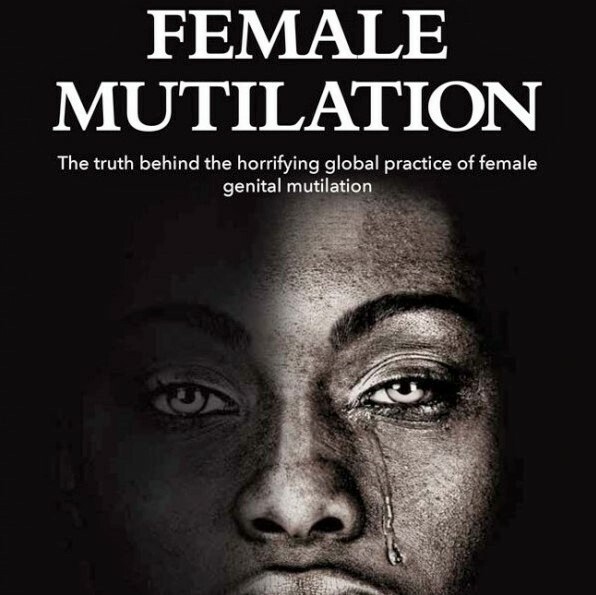 Sometimes events come together in a propitious manner; and so it is with the first-ever successful prosecution in the UK for female genital mutilation, just days before the date (6 February) when people around the globe declare Zero Tolerance of FGM. Within a few days, both the UK and the world have shown a determination that FGM must become history; but sadly declarations do not necessarily equate to outcomes. The ‘reasons’ why FGM has not been eradicated already are many. Most nations around the globe now have legislation against FGM, explicitly or, as for instance in the case of France (where, as also in Kenya and some other countries, dozens of successful prosecutions have been achieved), implicit. Laws alone however cannot secure cessation of criminal action, even in such serious matters of human rights abuse and cruelty. The social norms which underlie the practice of FGM and other harmful, often traditional, practices (HTPs) such as child, early and forced marriage (CEFM) and breast ‘ironing’ are embedded in the beliefs of the communities in which they are practised. FGM presents in many different ways in different places, but has been happening for thousands of years. New estimates by the World Health Organisation and UNFPA suggest that at least 200 million women now alive have undergone FGM, and that this figure will not abate (in fact, it will increase) for decades yet. It is, like international human trafficking, a critical part of the enduring economic structures of areas and regions where it occurs. Those involved have a massive interest in ensuring it continues. We are seeing a global epidemic of FGM. Ideas around human rights and individual autonomy are still new, or even unrecognised, in many regions of the world (and yes, including significant parts of the so-called first world); and the people whose rights and autonomy are most severely constrained are usually – though of course not always – women and girls. In such contexts FGM and other harmful practices thrive. But what does this tell us about FGM in Britain? Why are thousands of new cases of FGM reported (as they must) by clinicians every year? Why is it said that around 150 thousand women and girls in the UK have experienced, or are at significant risk of genital mutilation? Let’s start with the caveats: the UK statistics are not very solid. FGM is recorded as occurring even when the damage is in fact piercing, often the location in which FGM occurred is not recorded (accurately, or at all), and estimates of national figures overall are based on questionable extrapolations from figures for countries where FGM is known to be practised. There’s much work to do to before we have precise data from which to develop appropriate locality-based preventative and treatment services. All that said, we in the UK could do much better. It is disingenuous of DfID to announce large (and welcome) sums for End FGM work in Africa, whilst at the same time funding for some British organisations is reduced. Why was the nascent national FGM unit set up at the end of the last Labour administration abandoned via the Government’s austerity measures? Why is its more recent successor expected to become increasingly self-sustaining? Since when has stopping FGM been the responsibility of private business? The ethos of Public Health – prevention is better in every way than ‘cure’ – has taken a huge hit under the present political administration. Gone is the notion that communities are the fundamental bedrock of good health and well-being. Gone too is the idea that community activists need adequate support and resources to deliver formal aspirations of harm reduction. There is palpable resentment amongst some activists that they are expected to undertake on-the-ground engagement to stop FGM without funds (whilst also having no support when others in their communities see them as selling out to ‘western ways’). Similarly, the Government says it wants everyone to have equal opportunities whilst at the same time it refuses to believe women refugees and asylum seekers who resist deportation because they fear their daughters may be forced to undergo FGM, or to be ‘married’ as a child, if they go ‘home’ – a place their children may never have been before. And still the formal processes to address child abuse, of which FGM, CEFM and underage assault are examples, lack coherency. Many legal, clinical and teaching and other professionals will need learn more about the signs and consequences of these crimes if they are to be prevented – as the recent Rotherham and Oxford child exploitation cases demonstrate only too well. Why aren’t the Local Safeguarding Children Boards (LSCBs) centre stage in preventing abuse? Why are they based on local authority boundaries? Where is the national co-ordination? And why is it okay for members of these boards not to attend? Why are professional still so anxious about sharing concerns that a child has been, or may be, harmed? The Red Book (child health record begun at birth) should record at regular intervals that baby girls (and maybe boys too) are intact. Boys are already inspected to check their testicles are alright. No baby objects to examination; it’s parents who resist. So too with the school curriculum. Significant moves have been made in developing PSHRE (personal, social, health and religious education, including FGM), but some parents remove their children from these most sensitive parts of that curriculum. All children surely have the right in an age-appropriate way to know how their bodies are developing, what adult relationships entail, and, crucially, how to protect themselves, their siblings and their friends from harm. FGM and harmful traditions are fundamentally about economics. Sometimes the business aspect is overt – how many more cattle will you give me if my daughter is sold as a ‘cut’ (‘pure’) bride-to-be, than if she is uncut without the status of an adult? Sometimes the economics is buried further into the understandings of traditional communities – FGM indicates clan adherence. But in all cases this is patriarchy incarnate, the physical imposition of leaders (men’s) will on female bodies. As the Day of Zero Tolerance declares, female genital mutilation has to stop. ← What Can I Do To Stop FGM?… Some Practical Suggestions For Activists In The U.K.